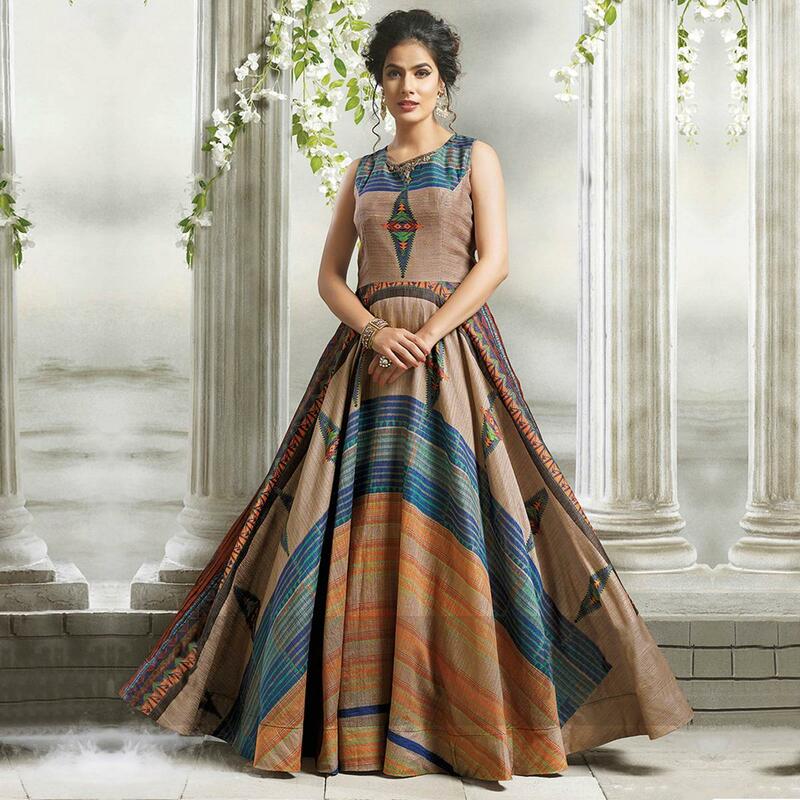 You will be confident to make a strong style statement with this attractive multi colored long kurti. This designer kurti is fashioned on chanderi silk fabric,comes along with cotton inner. This kurti is enriched with beautiful digital print work as shown. This semi stitched kurti is perfect to pick for casual wear, office wear, weekend get-together, parties and events. Pair it up with churidar or jeans to create a contrasting effect, along with heels & stylish accessories.This attractive kurti will surely fetch you compliments for your rich sense of style.